A three-year-old boy died after he was mauled by a cheetah on SA filmmaker John Varty's farm. The victim was the son of Jacob and Sophie Pieterse, who live and work on John's farm, Tiger Canyons, near Philippolis in the Free State. John, who is best known for the films Running Wild, which featured Brooke Shields, Leopard Queen and Tiger Man of Africa, took to Facebook after the incident. "On the Friday night a large amount of booze was smuggled into the compound," he wrote. "The gate that blocks the cheetah from entering the compound was carelessly left open. On the Saturday morning the cheetah entered the compound through the open gate." He added, "The victim should not have been there he lives in another compound." "The victim's mother did not pay attention... she allowed the 3 year old boy to play outside the house unattended." 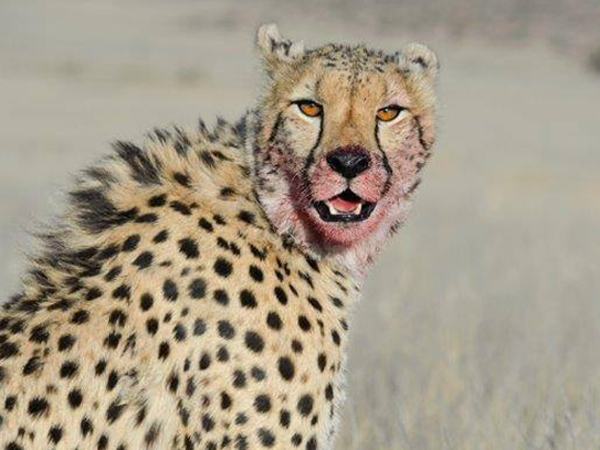 He went on to write that the cheetah attacked the child and inflicted serious wounds to his neck and head. "Although the doctor in Philippolis told me there was little chance of success, I hired a helicopter and flew the boy to Medi Clinic in Bloemfontein. The boy was brain dead but alive when he arrived." "No action will be taken against the cheetah. The mistakes made were human." He added that a 2,4m electric fence will be erected around the housing area, and that all women and children had been "removed" from the area. "My condolences go to Jacob and Sophie Pieterse, the parents of the child. At the end of the day I am responsible for my workers' actions. I take full responsibility." He finished, "Lightly On The Earth. JV"
In 2012, John was attacked on his farm by one of his own tigers.